Tottenham Hotspur are interested in signing Maxi Gomez of Celta Vigo in the summer transfer window, according to the Sunday Mirror (24/2; page 61). The striker would be brought in as a replacement for Fernando Llorente, who’s contract expires in the summer. Spurs severely lack depth up top, as they only have three recognised out-and-out strikers in their matchday squad, including the immensely disappointing Vincent Janssen and the aforementioned Llorente, who is widely expected to leave the club at the end of the season. Spurs boss Mauricio Pochettino hopes that he will provide some competition for the prolific Harry Kane by bringing Gomez to the English capital. The Uruguay international finished last season’s La Liga campaign with an impressive 19 goals to his name, and was linked with a move to West Ham United throughout the recent January window. 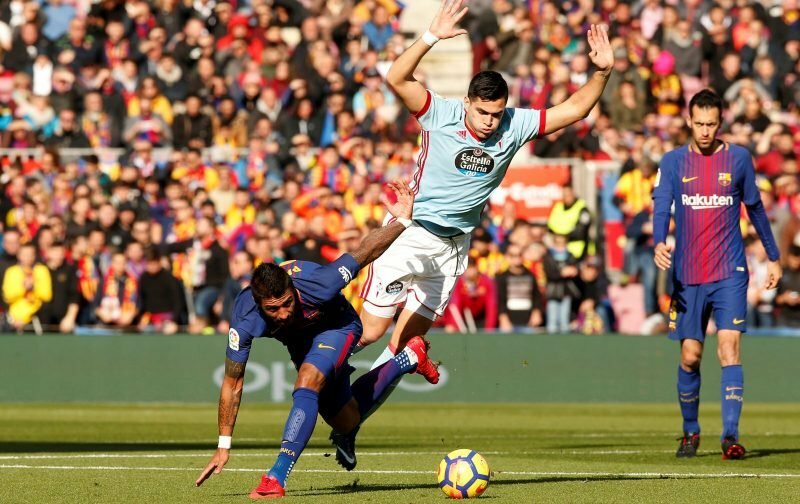 So far this season the 22-year-old has scored nine league goals, but Celta Vigo are in a battle for survival, finding themselves only two points above the relegation zone. However, even if the Galicia club do get relegated, the price for Gomez won’t be cheap, and reports say the North London outfit may have to pay as much as £45million to secure his signature.